Whether you’re an agency copywriter, in-house copywriter or occasional freelancer, the debate between clear versus clever copy is likely a topic close to your heart (we writers don’t get out too much). With reports showing that only 16% of people read word-for-word online, it’s important that content is readily scannable and clear for the consumer. Ground-breaking products and fantastic vision do not carry much weight if the message itself gets lost in translation. Buzzwords and marketing jargon may make your content SEO-friendly and make it sound like you’re an expert in your field, but are you actually communicating effectively with your target customers? Too often, vague headlines, witty puns and too much information upfront require more effort than readers are willing to give, which ultimately deters them from clicking through and committing. Instead, they want instant gratification and immediate takeaways. The Harvard Business Review claims that the biggest driver in retaining “sticky” customers, (i.e. those who intend to purchase, continue to purchase and recommend your product/service to others), is “decision simplicity”. Consumers want clear and concise information from sources they deem as trustworthy to make an informed, confident decision. This begins with clear copy. When asked to choose between clear and clever copy at Unbounce’s Call To Action Conference, conversion copywriter for Copy Hackers, Joanna Wiebe, was quick to comment that “without clarity, nobody knows what you’re talking about.” Although it hurts as a writer, sometimes it’s better to euthanize that awfully clever pun that flies above most readers’ heads. Direct car insurance company, Direct Line, don’t waste anytime getting straight to the point. Their Google description not only breaks down who they are and what they offer, their H1 title also communicates tangible social proof that “99% of Customers would buy again”, a clear message that makes consumers feel at ease. With mobile searches well surpassing desktop, content creators are increasingly working with smaller spaces on mobiles to promote their key messages— but this doesn’t mean they have sacrifice clever content. There seems to be a mistaken assumption that clear content is for web, while clever content is saved for print. However, great copywriters know that clever content provides a fresh, provocative call to action that differentiates your brand from everyone else, regardless of medium. Really clever writing builds rapport directly with your consumer and helps to build a relationship between them and your brand – something which is difficult to achieve when you’re limiting yourself to 30-word bullet points. Copywriting is all about the art of convincing your reader to take a specific action, and being pitched can be a pleasure when it’s done with genuinely enjoyable, magnetic copy. Clever copy subliminally touches readers through storytelling, taking a completely different approach from clear, benefit-led copy. 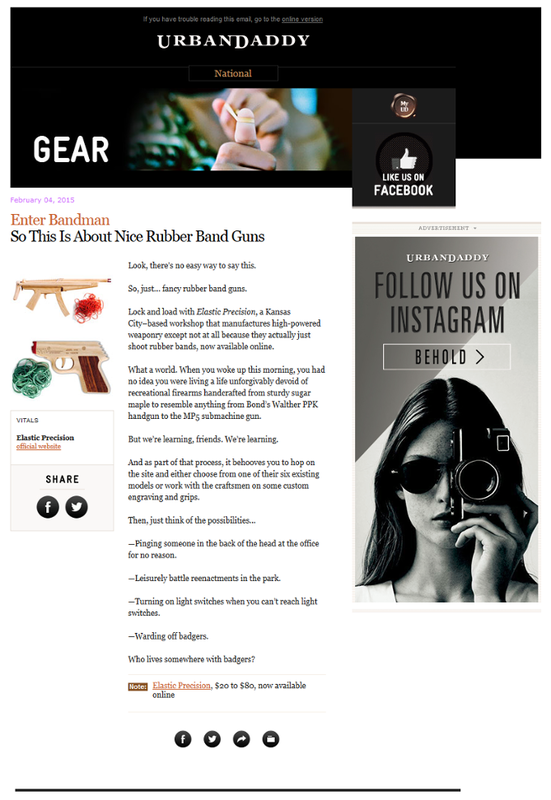 Men’s luxury lifestyle content company, UrbanDaddy, conveys their unique tone of voice by combining run-on sentences and traditional product promotion copy in their emails to great effect. Their conversational, humour-cracking sentences flow naturally, subconsciously building rapport with their consumers. Keeping tone and content consistent from emails and blogs to homepages and editorial copy, UrbanDaddy not only get their messages across cleverly, but also stand out as a memorable brand. In a world that keeps pushing technology to the forefront of consumers’ lives, great copywriters are learning to adapt their copy to provide instant gratification and greater clarity to gain customer loyalty. But it shouldn’t be at the expense of cleverness. Cleverness is what makes the message stick! A well-turned phrase can stay with us for years (“Just Do It!”) and give life to your brand beyond mere words on a screen. The best copywriters know how to blend clarity and cleverness to make your sales proposition both clear and memorable. Copy in perfect harmony. This is why brilliant copywriters thrive amidst an explosion of content, leading the charge with clear and clever copy drafted in a credible and succinct style. Whether it’s a blog headline, email subject line, social media post or your latest eBook – clever should be clear, and clear should be clever… if you’re doing it right.